To bring attention to the issues of homelessness and addiction, Squamish Helping Hands is presenting a screening of the film US AND THEM. This Squamish screening of US AND THEM aims to raise awareness about homelessness and addiction through a compassionate lens. Admission is FREE or BY DONATION to Squamish Helping Hands Society. Community members are asked to register in advance as space is limited. At a time when Squamish Helping Hands Society is about to break ground on their Under One Roof project in downtown Squamish and when Canada is in the midst of both a housing and opioid crisis, this film has never been more relevant. US AND THEM was written and directed by Krista Loughton and award-winning filmmaker Jennifer Abbott. Filmmaker, Krista Loughton will be in attendance and will participate in a panel discussion following the screening. The Squamish screening of US AND THEM is sponsored by Matthews Southwest, operating locally as Squamish Cornerstones Developments. 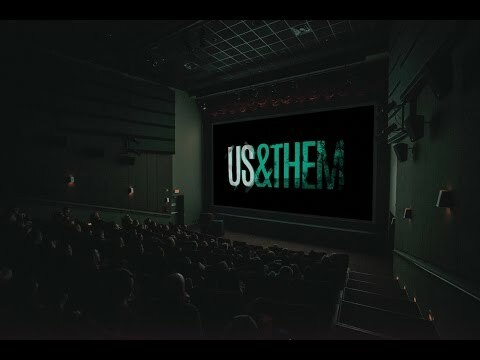 Filmed over a decade, US AND THEM is a deeply visceral film about transformation through human connection. It all begins when filmmaker Krista Loughton is questioned by addiction expert Dr. Gabor Maté about her need to relieve pain in the world. This takes her back in time when she befriended four chronically homeless people in an effort to help them heal their lives. Under the mentorship of Hereditary Chief Phil Lane Jr., Krista decides to teach her friends how to balance on the First Nations Medicine Wheel. In the beginning, there is connection and hope, but unfortunately, none are able to conquer their addictions or significantly change their lives. And then tragically, one dies. Out of her league, Krista seeks out the counsel of Dr. Maté, who forces her to confront her own motivations. Krista confesses her own emotional struggles with her remaining street friends. They display an extraordinary empathy and wisdom no one could have anticipated. Please note, the film is 82 minutes in length. Squamish Helping Hands is a charity operating since 2006 and providing food and shelter programs within the Sea to Sky communities. We believe a healthy community is a place where we work together to overcome challenges that affect us all. We believe that people need to have a safe place to live and healthy food to eat. We envision a vibrant community which assumes respect and dignity for all of its members.